Often clients ask me whether they should practice mindfulness or if I have any information about mindfulness. They’ve heard the buzz word but are unsure what mindfulness is and if it would help them make positive changes in their life. Well, the good news is that anyone can give mindfulness a try. It takes practice but it is achievable. 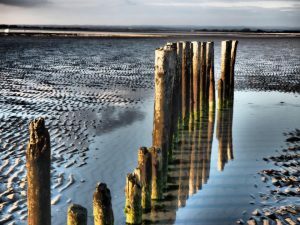 This entry was posted in counselling, mindfulness, Recommended books, walking therapy and tagged breathing, eating, gazing, listening, mindfulness, Recommended books, walking, walking for depression on February 26, 2018 by Hazel Hill. Symptoms of anxiety? 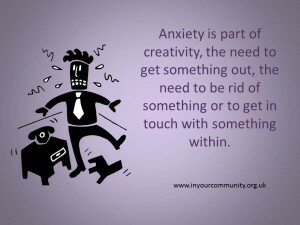 4 creative ways of coping with anxiety. Do you have symptoms of anxiety? This entry was posted in art therapy, creative therapy, mindfulness, positive thinking, stress and anxiety, Thinking and tagged Anxiety, anxiety counselling, anxiety counselling in Sheffield, art therapy, walk and talk therapy, walking therapy, Writing therapy on March 12, 2014 by Hazel Hill.